Know yourself: Focus students on realising their own needs and decisions during the learning process. The operation of the room / school must encourage individuals to recognise themselves as unique learners who expect to make decisions and own the process of developing and making progress. Master of tools and strategies: Teachers’ primary role is to issue and discuss learning tools and strategies first. Rather than fall into the trap of automatically solving problems for struggling students, teachers must make every stumbling block an excuse to discuss what tool might help or might indeed be missing from the situation. e.g. 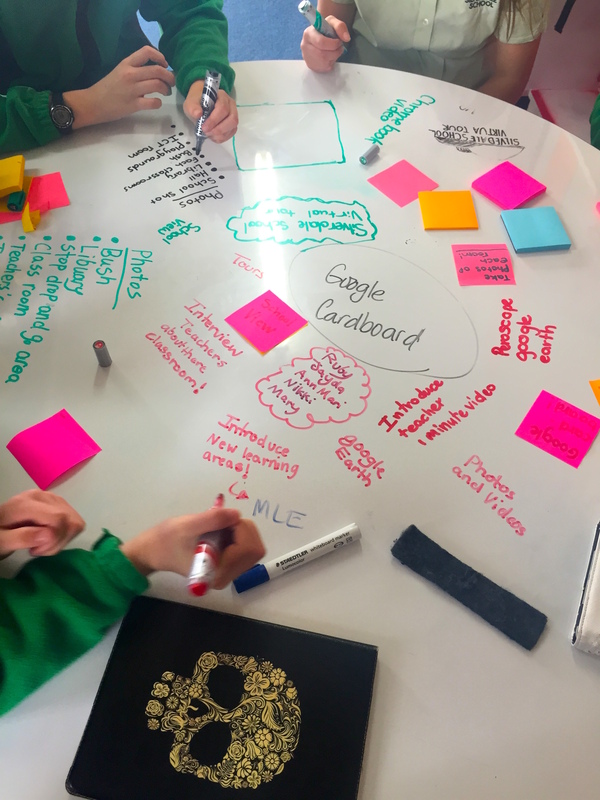 “I’ve been asked to analyse this paragraph but I’m not sure what steps to take to carry out the analysis.” You need to build a library of tools and have them well advertised around the school to remind students of their availability when deciding what to do next or how to do it. 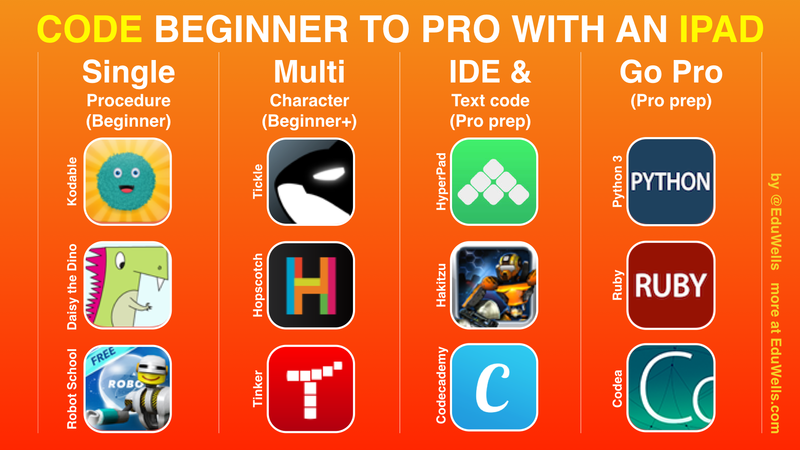 … and students who can use it. When I’m explaining student-centred learning, there are two types of tools required and there are numerous examples that make up both lists. Marking schedules that explain how judgements might be made or could be added to. Communication tools. These include anything that encourages dialogue. It might be a whiteboard on the wall for planning, or text-messaging to encourage going beyond the four walls of the classroom. Time-management tools: Learners need to practice dividing up and mapping out how best to succeed. This includes time but also people and resources. B) Behavioural tools/practices: These are tools students use to structure their behaviour throughout a task. Choice: The number one behavioural practice that defines a student-led classroom is choice. I ensure that a number of, if not all options are available. If one is to master the process of learning, it is a matter of practice in making and evaluating decisions, setting goals specific to your own needs and measuring success against them. This is the real scary leap for many teachers, I’ve had many honestly tell me that “letting go” is the hardest part, but once they understand the function of their new role within this environment, it makes more sense. Discussion: Humans are unfortunately bad at productively conducting discussion. In my experience most meetings in this world are carried out simply to make participants feel better, so that they can report that “something” is being looked at. Overtly teaching structured-discussion where participants all get to consider their ideas first and then are listened to as they voice them, is critical in developing a student-led classroom. Then having tools to help the group compare ideas and make decisions is also a rarity in schools. I mentioned DAKI as a tool in the last post and this is a great tool to help groups classify ideas as they are put forward. 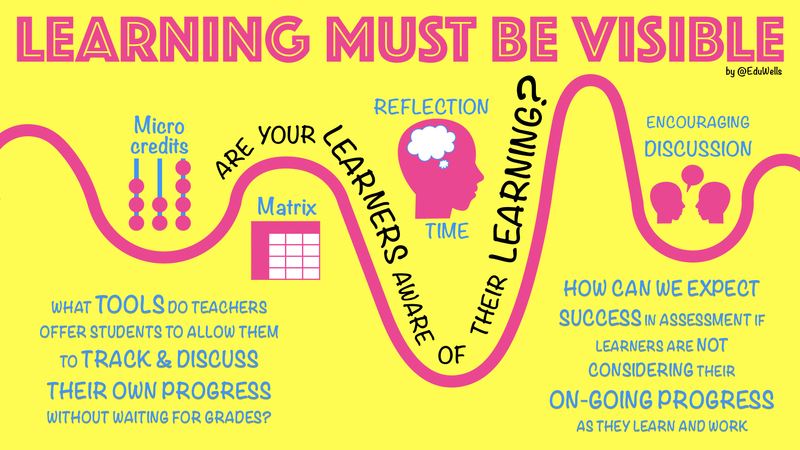 Thinking: The key benefit provided by student-led learning is that by owning the process, students do show a keenness to think deeper about what they are doing. But they do need tools to help guide their thinking. This might be just a list of prompts to push them to think further on any idea. They should be generically written so as to be used in any task. Don’t try to provide task-specific prompts as this does not build good learning habits. 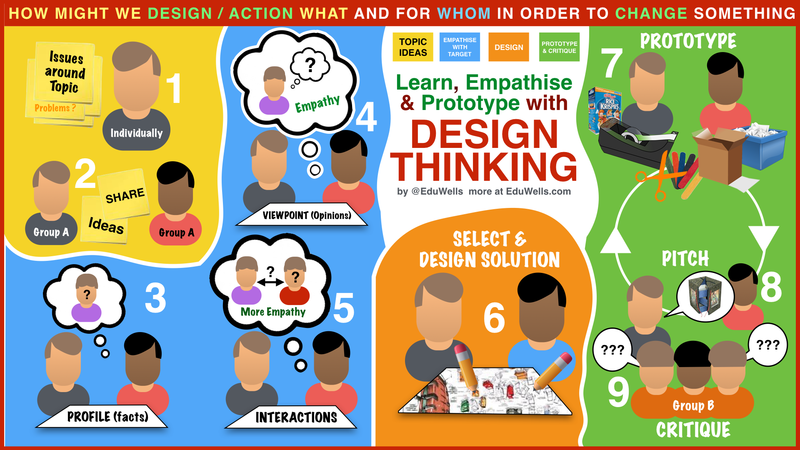 An example I use often is from Design-Thinking. These are structured tasks where there are stages based on empathising with the target audience/client/subject. They prompt the teams to firstly profile the client(Facts), then consider client viewpoints(opinions) and separately consider the connections and influences (network) on the client before beginning to design an outcome/product/essay. These well advertised subtasks help the learners think deeper about the full situation. Research: An upside in the current world of “Fake news,” is that it shows what happens when a generation are not equiped to consider or check the source of information. Early in a school career, learners need to be equiped with how to discover, check, and site information, and do this collaboratively. Dividing searches between people and using others to bounce conclusions off is critical in saving time and improving outcomes. “How to Google” is important but how to work with others in creating conclusions that shape next steps is just as important. Goal setting and reflection: Here’s what I do. I’ve issued all the topics covered by my course on a website that links to relevant learning material for them. Students choose a topic of interest and report to me on the same Google form every week, how last week went, their current work and what they hope to achieve this week. I hold 15 minute meetings within the lessons for the 4 or 5 students who have chosen the same topic. In this progress meeting, the students get to hear each other’s issues and goals and discuss the topic and it’s available resources. They often compare learning material and recommend one over another. My role is only to prompt and guide the discussion to help them cover all angles and to encourage extending any work so that it might have an impact locally or globally. 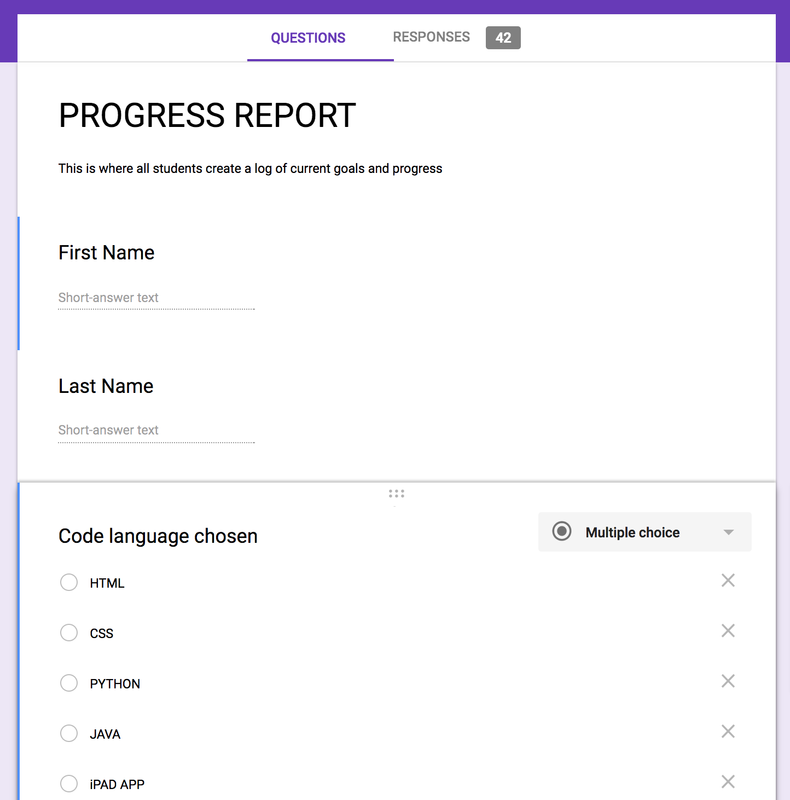 To force the issue of student-led learning, I make sure the students are aware that most of their grading will come from the quality of their reflection written on the Google form each week. I have found that students who are asked to make their own decisions, report on them and be accountable to them, tackle the content more successfully, without me having to drive them through it. 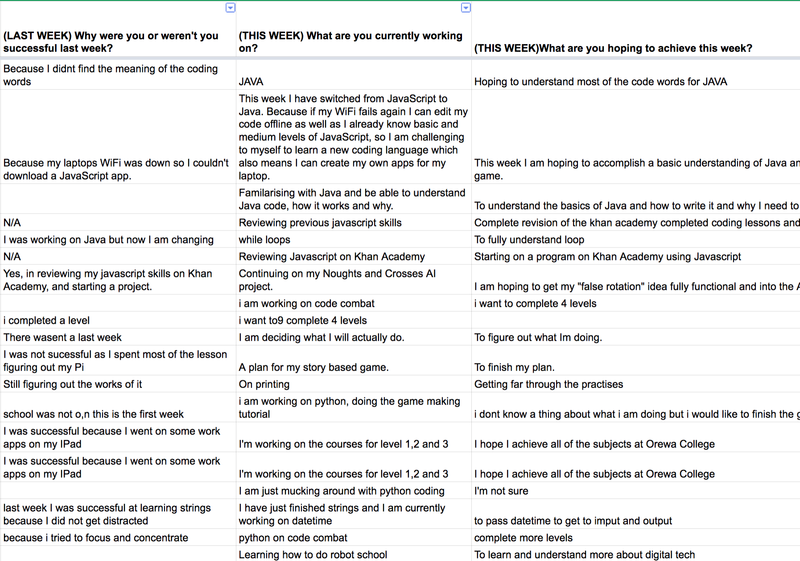 The spreadsheet pictured is the result of week one of a class getting used to such a system. Short version? – Make everything available and only assist and discuss the process of learning. 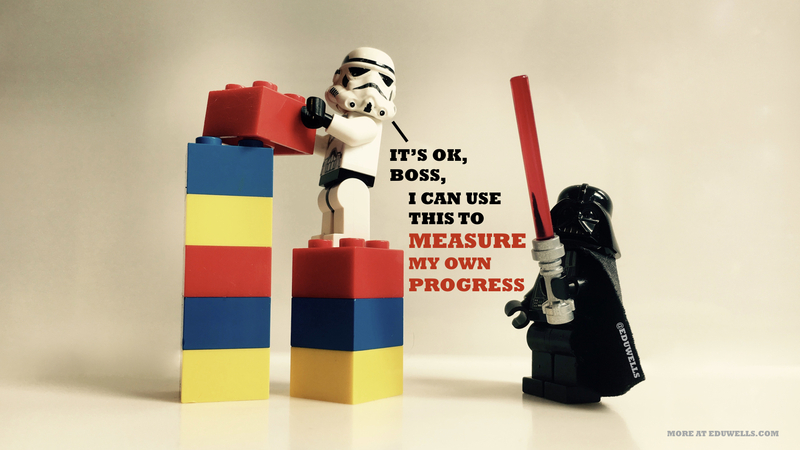 Create a communication channel for learners to report on goals and progress. Assist students in selecting the appropriate tool for moving forward or deciding on next steps. Create opportunities that encourage students to work together and build on each other’s work and ideas. Challenge decisions and encourage students to challenge each other’s conclusions. Build relationships with students around learning, not just personal interests. In part 3, I’ll cover examples from different subject areas and my own classroom. I’ll also produce my library of tools and support material.